Released especially for the winter season, Emma’s three seasonal fragrances are created using carefully blended pure essential oils, chosen because of their renowned medicinal and healing qualities for this chillier season. 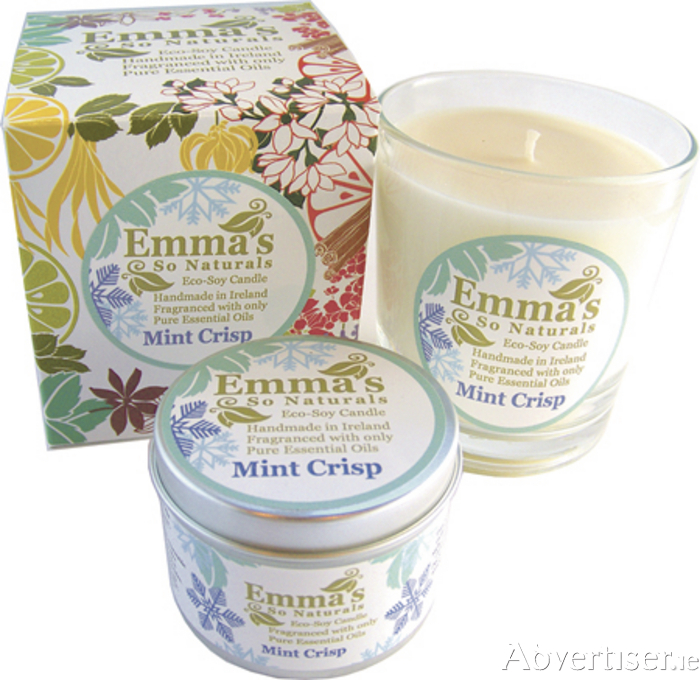 Mint Crisp is a unique seasonal fragrance, crisp, and sweet, like a frost-nipped lawn on a fresh winter morning! Spearmint oil is sweet, refreshing, stimulating and uplifting, while tea tree oils smell sharp, herby, and fresh. Together these oils can help with colds, sinusitis, bronchitis, and other respiratory ailments. Spiced Orange is a blend of uplifting orange, warming benzoin resin, spicy ginger, and festive frankincense oils. Sweet orange is cheerful and uplifting, bringing feelings of happiness and warmth, while ginger oil is spicy and warming, energising and uplifting. Frankincense is wonderfully soothing and calming, with an exotic woody, spicy smell. Wonderland offers a blend of forest pine, soothing eucalyptus and warming benzoin resin, reminiscent of a refreshing winter trek through a hilly pine forest. Scotch pine and eucalyptus blended together have a light, fresh woodland scent. This is a delicately woody, and earthy fragrance, with a cleansing effect on a room. Emma’s So Naturals Eco-Soy Candles are available in three sizes: 50-hour glass tumbler candles, 20-hour lidded tin candles, and wax tart melts for use in oil burners.